The court's shiny wood floors are expected to be replaced with fluffy carpeting. The court’s shiny wood floors are expected to be replaced with fluffy carpeting. 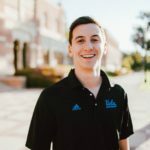 WESTWOOD – In response to a sudden increase in sexual activity in campus-owned housing, UCLA has announced its decision to convert Pauley Pavilion into a sexile refugee camp. University officials claim this is due to “Suns Out Buns Out” syndrome, a sudden surge in teenage and young-adult libido in connection with the wonderful spring weather. Windel, a second year Human Biology and Society major, says he was inspired after being kicked out of his room one too many times. The petition received over a thousand signatures and, after two weeks of deliberation, was approved by housing and campus officials. Pauley Pavilion, which has yet to be renamed, will undergo a series of renovations starting June of this year. The finalized plan for the building includes bunk beds, sleeping bags, romantic comedy movies, and storage units for chocolate and ice cream. “The goal is to create a welcoming environment where anyone who has been sexiled can express their loneliness,” Windel explains. The building is expected to be able to serve 1,000 students per night, with accommodations for a larger crowd on weekends. Pauley Pavilion can currently seat just under 14,000 comfortably, and therefore would not be utilizing all of its space if it served solely as a sexile refugee camp. “There will be rooms with counselors, bathrooms of course, and hopefully a movie theater. There will also be a new student store and one large study room. The resources will be available to anyone with a Bruincard – you don’t have to live on the hill. In fact, similar to DeNeve, we think there will be a few auditoriums for classes to be taught out of,” Windel states. Though Windel is enthusiastic, not all students support his vision. Jessica Waite is a 4th year Comparative Literature student who spends more time with her hamster than with other people. Her interests include animals (all), people (few), and social justice (80%).